This year, on outdoor activities around the world, I’ve put the MeCo 120 shirt from Rab (since renamed the Merino+ 120) through a metaphorical wringer. Now, I think it’s time to put it through a literal one — it’s time to wash my shirt! Indeed, since I received this athletic T-shirt last winter I have not washed it once. 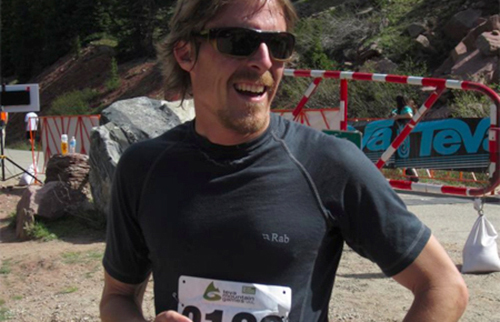 In a test of the shirt material’s touted anti-microbial, anti-stink properties, I made a decision to keep the Rab piece out of the laundry even after ski days, bike rides, and a half-marathon in Vail. The anti-stink properties come from the shirt’s blend of merino wool and recycled polyester with Cocona technology, which is said to be an “activated carbon particle” treatment. Cocona materials are licensed by Rab and other companies such as Obermeyer, Eddie Bauer, and a few more. Cocona Inc. claims its material works by increasing the surface area of fabric by “800 percent” to distribute water over a larger area and accelerate evaporation. 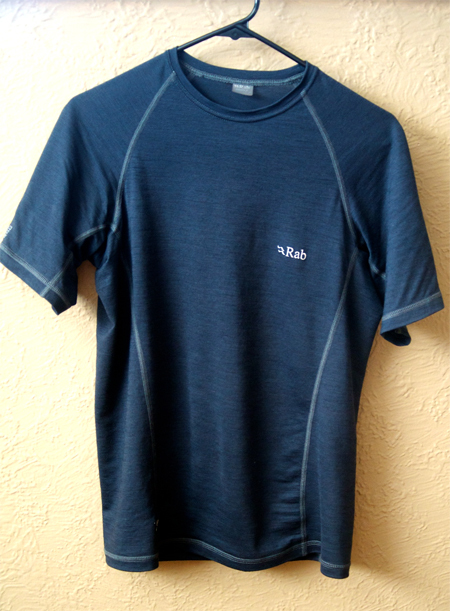 While I have no means to verify that number, I have found the Rab top to be a comfortable and quick-drying piece under varied conditions. As a winter base layer, the shirt stayed dry even when the temperature rose and the sun shined. I wore it on days ranging from full-blown blizzard conditions to 50-degree spring skiing days. Wool was formerly not the first material that I reached for when the temperature climbed above 80. 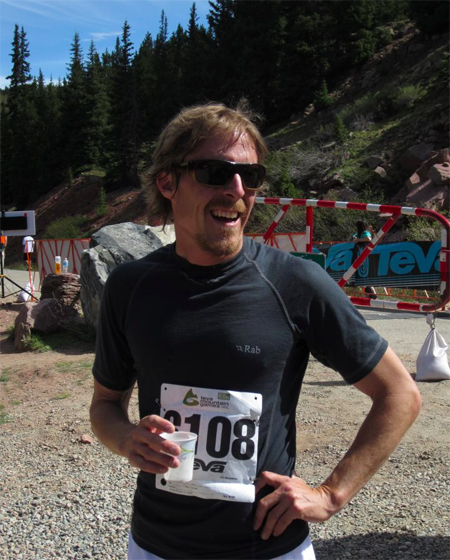 But during many long runs in the record heat in Denver this spring, I found the shirt to be comfortable, cool and dry. The MeCo 120 shirt costs $60, but with its stout construction and a fabric that breathes and dries quickly, I think that is a fair price. You might save the money on laundry soap costs alone. After all my use, as well as being stuffed into backpacks when still wet, my test shirt is finally getting a bit musky. I think it’s time to start the wash.
—Sean McCoy is a contributing writer based in Denver.